The online advertisement read, “Visit beautiful Terceira Island, one of nine islands in the Azores”. The ad went on to say that SATA airlines is introducing weekly flights to Terceira Island from Boston and is offering a “Special Inaugural Deal” to visit this spectacular island. Even though I still maintain my amateur radio license (WA5EAM) and know a lot about geography, I really did not know enough to pinpoint the location of Terceira Island. Yes, the islands are a possession of Portugal and yes, they are closer to America than any other European hamlet, but, really, where are they located? After a little research, the answer appeared. The Azores are on the same latitude as Lisbon (Portugal), but nine hundred miles closer to America, in the middle of the Atlantic Ocean. In essence, a flight from Boston to Terceira Island takes a mere four hours and forty minutes, which is shorter than a flight from Boston to Los Angeles. Obviously, if the Azores are a third closer to America thean the rest of Europe, the weather conditions, the seafaring history of the island and wine varietals are unique to the islands. Terceira Island has a temperate, maritime climate with average temperatures that average 72F (22C) in the summer and 58F (19C) in the winter. As we witnessed, weather wise, it’s possible that all four seasons of weather can occur in a single day. Rain can be found on one part of the island, while there is sun, only a few miles away. When it rains, the duration is short, rarely more than two days in a row. Wind is another story. Like the clouds, wind exists daily, more during winter season than summer. The island is 18 miles long, from east to west and 11 miles wide, from north to south. The highest elevation on the island, Serra de Santa Barbara, is 3,350 feet. The land area equals 154.7 mi or 396.75km. 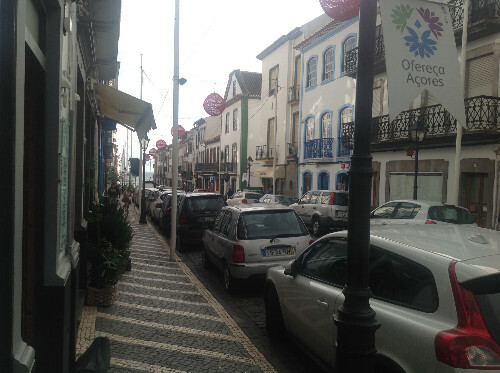 Terceira is also referred to as ‘Iha Lilas’, the lilac or violet island. The island's population is 56,000 inhabitants. 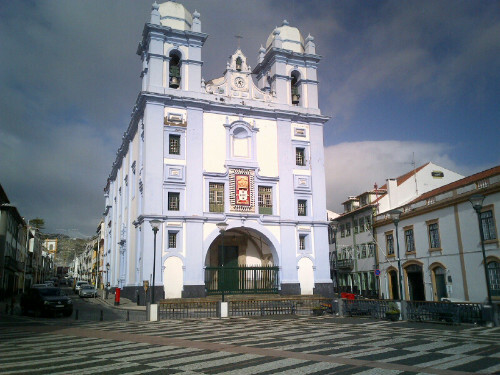 The historical capitol of the Azores is Angra de Heroismo, the Azores oldest city and UNESCO heritage site. The name, Terceira, origin comes from the Portuguese word that means the ‘third’, as in ‘the third island’ or ‘third to be discovered’. Terceira Island is in the Central Group of the Azores archipelago. Terceira Island is one of the archipelago of nine Azorian islands and is a symbol of the new world created by the Portuguese voyages of discovery. Dates vary as to when the island was discovered, but remnants from 2000 years ago were discovered, indicating a history of settlement. The island was originally named Jesus Cristo before the name change to Terceira Island. The second oldest recorded history of the island dates back to 1325, prior to 1460 when Flemish Jacome de Bruges brought Portuguese migrants to the island. Production of wheat and pastel-a plant used in dyeing- was introduced and exported to northern Europe. Shipping expanded during the 16th century and Terceira Island was a stopover for fleets returning to Europe with spice, silk and porcelain from Asia. Ship repairs were made on the island before returning to Europe. In the 17th century, Spanish ships stopped for repairs, after returning with gold and silver from their South American conquests. Occupation by the Spanish followed in due time, which eventually led to Portuguese rule. 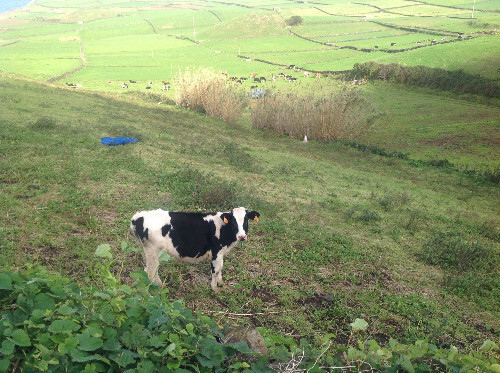 Livestock is the main economic activity on the island, followed by dairy based products, such as cheese, yogurt and ice cream. Terceira has two main seaports and a commercial airport. The outlook for tourism is bright. The island consists of four overlapping ‘stratovolcanoes’ built over a geologic structure called the ‘Terceira Rift’, a triple junction between the Eurasian, African and North American tectonic plates. These volcanic structures rise 5,000 feet (1,500 meters) from the floor of the Atlantic Ocean. Historically, the oldest volcanic activity began 380,000 years ago. Due to thousands of years of volcanic activity, the island possesses an abnormal amount of basaltic soil, formed from the basaltic lava that flowed from the eruptions. Prior to the 1857 phylloxera outbreak, all nine of the Azorian islands produced wine. 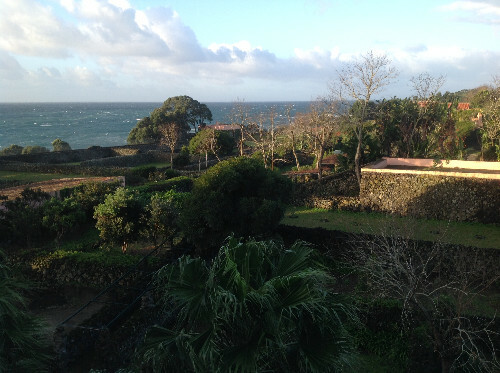 Today, Terceira, Pico and Graciosa are the three remaining wine producing islands. In the mid-15th century, Franciscan friars played a major role in the introduction of vineyards to the Azores. Historically, Verdelho, the key Azorian grape used in wine, was exported during the 17th and 18th century to northern Europe. Legend has it that when the communist revolution of 1917 ended, bottles of ‘Verdelho’ were found in the Russian Tsar’s cellars. The three wine producing islands are DOC’s of volcanic origin. Pico produces the most wines of the three islands due to the fact that the soil is a black basaltic, which supports vine growth. There was a burst in winemaking in the 1990s, when winemakers began producing wines from the three traditional grapes, Verdelho, Arinto and Terrantez. The focus of this article is to educate you, the reader, about the general aspects of the Azores, specifically Terceira Island. 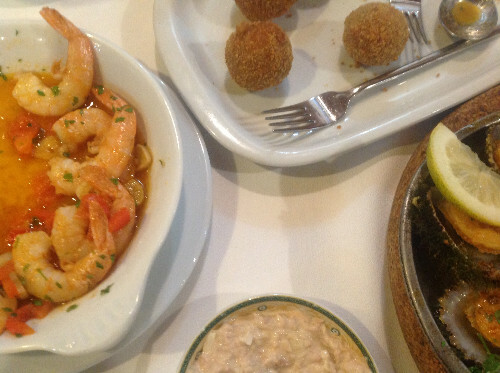 In forthcoming articles, the focus will be on the Wine Museum of Terceira Island; O Pescador Restaurant from Praia: the second largest city on Terceira; Quinta do Martelo: a village that recreates the general ambiance of Terceira from decades ago and Quinta dos Acores: a modern technological dairy, restaurant and meat packing house.